Well finally my wait was over on the last week, I could finally get my self a fresh new laptop with all the horse power that I was wanting for :) This new toy of mine is the Lenovo ThinkPad W500. This fine solid piece of machine it’s not actually a brand new model (around 6 moths older now on their firsts models). My own model (4063-33Y) fits perfectly on most of power users looking for a nice laptop with a better performance. Before I even received this notebook I knew that Windows 7 was going to be the first operating system to be installed. So, I want to tell you about my experience so far working with Windows 7 inside this laptop. No problems here, the installation process executed without any problem. The version selected was the 64 bits. 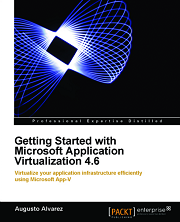 Note: This is a cool link about why to use Windows 7 with a 64bits architecture. After the Windows 7 installation, almost every “important” device was automatically configured: Video, wireless, Ethernet card and audio. 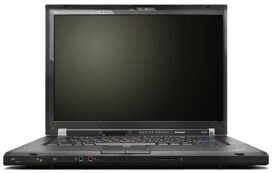 So, I started to look around and found this link on the Lenovo site that includes all drivers for the T500 and W500 models made to use on Windows Vista (you cannot expect that there are going to be any official drivers for Windows 7 as a Beta operating system). You can download all of the necessary drivers from there. Note: You have to manually install the mentioned drivers to get properly installed: Execute the downloaded file, and access to device manager and select “Update Driver” indicating the folder where the files were uncompressed. Unfortunately I didn’t get the chance to solve the “SM Bus Controller” driver issue. It appears that this one is related to the Intel Matrix Storage driver; but I tried to install it manually and using it ThinkPad System Update, but no luck. So if any of you find the solution to that problem on Windows 7, please share it. After all that, your device manager should look like this: Check “Updating Info”! Ok I didn’t have the chance to look much for this “SM Bus Controller” problem, but recently Windows 7 did all the work for me. The Action Center (the place where the OS informs about changes necessary, general health status, etc) notify me that there was a problem with the Intel Chipset driver. The solution it was very simple, download the zip file (Action Center also included the link), run Troubleshoot Compatibility on the setup file (the same as “Compatibility Mode” on file Properties) and the driver was successfully installed. If the message is not appearing for you, download the file from this Intel link. Issue: You can install it, but you won’t be able to browse any page. Solution: Add to the execution file path the following “–in-process-plugins”. Check this post (on comments area is the correction). Issue: Cannot install it, requires for user name and password but the installation never starts. Solution: Change the compatibility mode on the installer to Windows Vista. 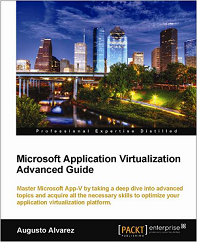 Check also this other post about using Remote Server Administration Tools (RSAT) on Windows 7. I would like to mention some cool things I’ve noticed so far about functionality on Windows 7. I’ll be naming just a few, for checking some other stuff on Windows 7, take a look to the “Cool Links” section. This function has been present since Windows Vista, but it had a some restrictions, you could not actually shrink a partition on any size you want; there was a total possible available (depending on the partition size and space available). Well this restriction is practically gone, you can shrink any partition almost at the maximum possible (meaning space available). Sometimes to access a feature or changing some options on the operating system you need to make several clicks, like “Computer”, “Properties”, “Change Settings”, “Change”. Now you just have to type what you need on the Start menu, like “change power” for accessing Power Settings. Windows 7 showed a great performance running on this laptop; and, at least in this beta version, doesn’t seem to require great aspects in hardware. Excluding the MSI issue, I did not have any stability issues so far. Internet Explorer 8 (included by default) still has some random issues, crashed a few times. You can find several cool things on this new operating system, but still you won’t find much functionality differences between Windows Vista. Regarding to stability and performance, if you ask me to make a choice between Windows Vista RTM and Windows 7 Beta, I would choose Windows 7. Vista (even though became more stable since SP1) has some issues and the performance still need some improvements. If you get the chance, I’d recommend you to install it and give this Beta a try. And of course, share your feedback with the community. Hi, was just installing Windows 7 on my W500, thnaks for the insight. You might be interested to know that if you download the latest Intel INF drivers from Intel and save them, go to the properties of the file and run in Vista compatibility mode it will deal with that SM Bus Controller and then you will have all drivers sorted! They will not install normally as it says OS not supported. Thanks for the tip on the Intel driver! I’ll give it a try on my installation. Did you check to see if your ATI card installed properly too? I just put Windows 7 on my new W500 and I just can’t seem to find a solution. I’ll keep looking however. The graphics look fine but the resolution/desktop area seems a bit screwy. It’s mainly noticeable on Firefox. I did not have any problem with the ATI driver, the installation detected without any problem. 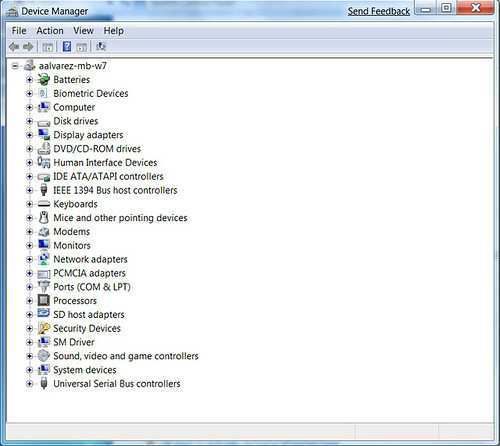 Device manager shows it with an exclamation mark? No but thanks for looking. Turns out the graphics card switching doesn’t work. I went to the BIOS and turned it off and made discrete graphics default to fix it. Oh I forgot to tell you my OS and some main devices. The OS is Vista Business 64Bit. P8600 CPU, 2G DDR3 RAM and 320G@7200rpm Hitachi HDD. Thank you again!! If you adjust the brightness from the Display option on your Vista, it works properly? If it is working, then it shouldn’t be a video driver. 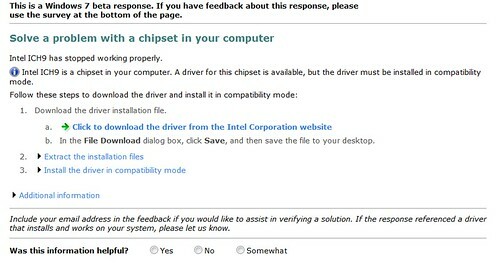 You should check other drivers if they were installed correctly, like the System Interface Driver. Check the device manager if you don’t have any other warnings there. I installed the infinst_autol (Intel Chipset Support Drivers) in Vista compatibility mode and that installed the SM Bus driver (although my WinSAT index is still 2.9 for the hard disk performance)…not sure if that’s related. 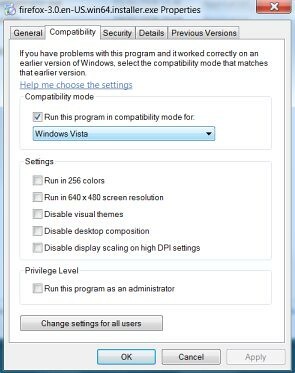 If you’re also having issue(s) with installing the Hotkey utility (on screen display does work), you can also try running the Hotkey utility in Vista compatibility mode. on my W500, if I put the sys in sleep mode the BlueThooth and WIFI stopo working when the sys wakeup. Yeah…this happens to me. Did you ever figure out a solution? Did you install the Intel Chipset driver? I’ve just updated the post with procedure necessary for that… the SM Bus Controller driver issue should also dissappear with that. I have problem with my w500 and fingerprint software(32bit). It installs but when i try to start it from thinkvantage folder it says missing shortcut fpapp.exe? Did you download the software from the website that I’m linking on this post? What operating system are you using? 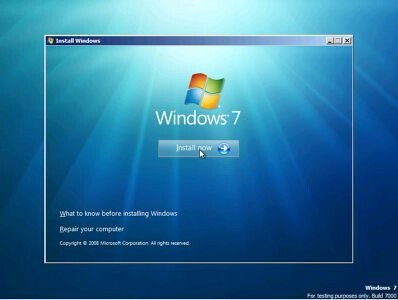 I have Windows 7 32 bit version beta build 7000. In downloaded fingerprint software from lenovo website but not from your link because it was 64bit. Look like today link doesnt even work? I have a w500 with windows 7 64bit. I followed all the suggestions I could find for the hotkey application. My problem is that I have multiple operating systems installed. If I turn off the bluetooth via fn+f5 in my XP OS, then the bluetooth is also off when I boot to windows 7. I tried to install the hotkey app from lenovo but always got “error registering server” no matter which compatibility mode I tried. I do have a workaround for anyone also experiencing this issue. If you download the hotkey app, it will put an executable in “drivers\win\hotkey\osd\f5” called TpFnF5. You can manually run that which will give you the option to turn on/off your radios. It’s a crummy workaround for now and still searching for the “right” to get this installed. I tried installing both the x86 and x64 versions on my W500 and both times experienced the same issue. The screen blanks out just as setup is about to complete and won’t respond to mouse movement or keyboard entry. Anyone know of this problem and whether there is a solution for it? Thanks for any help, this is really frustrating…tried about four times. Which build of Windows 7 are you using? Because I’ve been having a similar issue with 7057 and 7077 (I did not have it with public beta, build 7000): The screen goes black (but still the build version is shown in the lower left corner), I can see the mouse pointer but nothing else. The installation continues the process but there is no output in the display. The solution for me, was to complete the installation process (product key, computer and user name, password, etc) completely blind. Previously I ran the installation process on a virtual machine, to check the input needed to complete the installation on my W500. After all that, I rebooted the machine, enter in safe mode, changed the display adapter to Standard VGA and viola! The video is back on (Aero also works with the default driver). Thanks gents. This actually worked for me! Does the Vista x86 or x64 drivers for the video on Lenovo.com improve the graphics performance after install? I’ve got version 4061-32U which has the 512MB ATI card. Forgot to ask, are the instructions/tips outlined above still relevant in the more recent builds? I’m running build 7077. 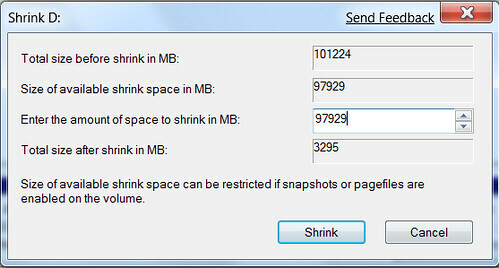 I noticed under 7077 x86 on my 4GB system, it says 2.46GB usable. Anyone have any idea why that is? Thanks again. The latest drivers for the display in my case didn’t work for me, I can only use it with the “Default VGA Adapter”. Regarding to the RAM usable on your installation, the available RAM that a 32bit operating system architecture can handle is 3GB as maximum, that is by design and there’s no workaround for that. To actually use the 4gb you must have a 64bit operating system. Hi Augusto, thanks again for the info. And thanks alot for this post, it’s been incredibly helpful. I guess my follow up question would be why is the system stating only 2.46GB usable when 3GB should be stated. Also, are you saying that the ATI 5700 drivers on Lenovo.com will absolutely not install/work on the W500? That is strange actually. I’ve never installed a 32bit OS on this laptop so I can’t say I had the same behaviour. Did you check on your BIOS setup to check on any related configuration? Augusto, I’m keeping the x86 version because of application compatability issues I think I’ll run into. I did get the video working properly on my system by installing the switchable graphics driver (for my system it was file 6fuj14us on Lenovo.com). After the F8 and driver install, I upgraded the bios to the latest version. Guess what, blank screen again. So I had to go through the F8 then driver install again. Now I have an issue with sleep mode. The system can not enter sleep mode without doing a reboot. I don’t know where to start on this, anyone else experienced and resolved this? I have a Lenovo W500 (4058-CT0) with 4GB of RAM and I see the 2.46GB usable in the System information. You are using a 32bit operating system. By architecture, 32bit OS can only directs at maximum 3GB of RAM. Change to x64 to use the full 4GB. the reason u saw 2.46gb usable ram is that windows7 uses the intel grahpic by default, the switchable graphic doesnt work in windows7 RC, the only way to get back your 512 Mb is to go to bios, change to discrete graphic card, then u will have 2.99 usable. HTH. I was wondering if you had any trouble with the FireGL V5700 drivers? When I first installed RC1 it used my intel chipset as the basic display device but FireGL card has an ! symbol next to it and is reporting the error “This device cannot start. (Code 10)” and label’s it as the Radeon 3650. I have tried manually installing the drivers for the FireGL V5700 and receive an error “This device is not working properly because Windows cannot load the drivers required for this device. (Code 31)” I was wondering if you had any similar issues and/or solutions. Thanks! I’m having the same issue with the RC, I cannot install the driver manually. ATI released recently some beta drivers for Windows 7, I’ve tried it with previous versions of RC but didn’t help. I’ll be looking for more data about it. Thanks Augusto! I found that the intel drivers will work well enough in 3ds max for me to finish my finals on it and i’m sure ATI will fix the issue soon, until then we’ll just wait and check it up often. I’ve found the intel chipset does a pretty decent job on the windows areo interface by itself which is a plus. I am having Windows 7 x64 RC1 installed on my Toshiba A135-S4467 with 4GB of ram. Can you advice me here ? Every help will be appreciated. Did you check what Dennis mentioned earlier? Change the BIOS option to “Discrete Adapter”? This is very helpfull. thank you so much! But you do not relate what “unknown device” in Device Manager is to each download… any tips on that? Once you uncompressed the files, when you select update driver you can browse for each folder to find the correct driver for each “unknown device”, if it’s not the right driver it won’t be installed. That is correct, I didn’t have to manually install the Ricoh Memory driver, that one installed directly from Windows Update. “PCI Memory Controller” refers to Ricoh Card Reader. Try removing the driver installed there and run Windows Update and check if the driver appears from there. On my W500x64 I still have the PCI Memory Controller, PCI Serial Port, PCI Simple Communications Controller showing with the Exclamation points. And I have no sound! This is an issue. Is the sound controlled by one of the above or something else? I have the speaker without a red X. Action center finds no errors. Just no sound. How did you make out with the beta drivers for Win 7 that were released by Lenovo in August? I’m having trouble installing the ATI drivers. Also confusing is that there’s two similar-looking ATI driver packages (http://www-307.ibm.com/pc/support/site.wss/WIN7-BETA.html#m8xdiscrete and http://www-307.ibm.com/pc/support/site.wss/WIN7-BETA.html#m8xswitch) which both show the ATI Catalyst splash screen when run (and then subsequently fail, that’s my problem). Just had two brand new W500s with Windows 7 and BOTH have the same problem with the brightness control – it doesn’t work. As a result, the computer changes the brightness setting and I cannot adjust it either up or down. There are no apparent conflicts or issues visible with the Device Manager and all devices seem to be working normally. 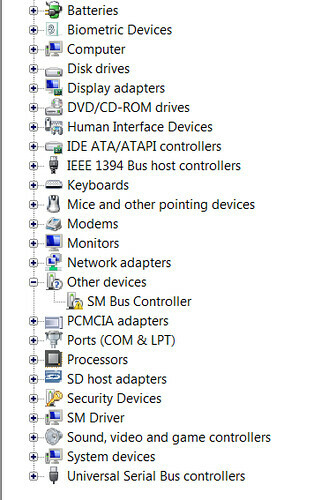 I have solved the problem – hoooraaahh – updated the driver Display adapters > ATI Mobility FireGL V5700. Hi all – I documented my struggle with this same problem at http://superuser.com/questions/56721/how-do-i-achieve-a-working-switchable-graphics-install-and-config-on-a-thinkpad-w. In addition, I found that after I got the graphics driver situation resolved that my battery time significantly increased. See http://superuser.com/questions/52651/very-poor-battery-life-on-lenovo-thinkpad-w500-laptop. Thanks Matt for the input! 1. Whenever I try to RESTART my machine,it shuts down and never starts.I gotta press the power button to start it. 2. The resolution is quite wierd. It’s clearly seen on google chrome and some other website. The font sizes too vary from one site to other! Could you please solve my problems. The resolution problem could also be related to the drivers missing. Can you please tell me the names of the drivers? I amm sorry if I am irritatting you!! Start with the driver mentioned in this post, in the section “Updating Info”, from Intel. Seems to be a partial file and does not install correctly. 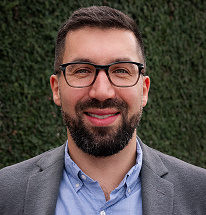 How do others get bluetooh to work? Any other driver pointers for windws 7? Finally if not answered already following link has a patch to help you use full 4 GB with Windows 7 32bit version. Install the patch and make full use of the memory you installed. Further below link has complete explanation why it does not work with win 7 and how it was working with windows vista.